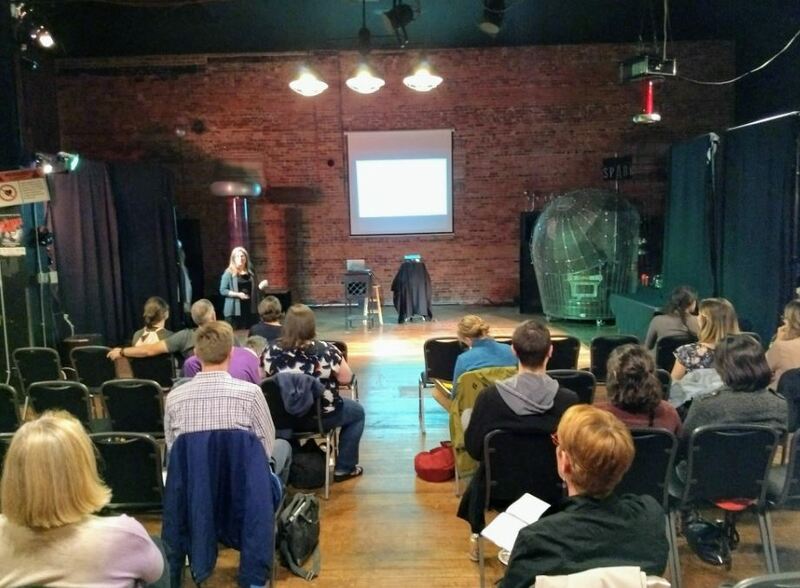 On June 8th, SPARK Museum hosted our first ever education symposium! Educators from Whatcom, Skagit, Snohomish, and King counties filled the room representing 18 different institutions. We came from a variety of different museums, centers, and schools, but what unifies us all is our desire to serve the students in our communities to the best of our ability. Creating educational experiences outside the classroom is a privilege, but it also holds some unique challenges. This symposium was an amazing step towards turning those challenges into opportunities so we can all better serve our local teachers and their students. 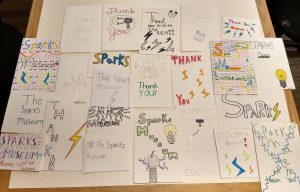 Thank you Notes from the 6th graders at Harmony Elementary after a field trip at SPARK Museum. Our Keynote speaker, Dr. Deborah Hanuscin, presented on the NGSS Outside the Classroom. In her talk she broke down the Next Generation Science Standards and how informal education institutions can aid teachers in reaching these standards. By forming partnerships, offering field trip opportunities and teacher resources that align with the standards, institutions like museums and science centers can help teachers and students have dynamic learning experiences outside the classroom. As informal education institutions we want our curriculum to reflect what goes on inside the classroom and support what the teachers are doing, but we also want to give the students experiences and memories they can not get anywhere else. Striking the balance between what we can offer and what teachers truly need from a field trip can be tricky. Our discussion panel comprised of 4 local educators helped bring to light some of the challenges teachers face when it comes to taking their students beyond the classroom. Funding, time, resources, and transportation are among some of the top roadblocks that informal institutions can hep remove. Scholarship programs, virtual tours, and online resources are a few of the many ways we can aid our local teachers as they educate and enrich the lives of the youth in our communities. This symposium sparked imaginations about new partnerships and programs and helped remind us all of the tremendous impact museums and learning centers can have. Having so many people with the same goal in a single space was inspiring and motivating to pursue more collaborative work with our fellow educators. If you are interested in getting connected with other informal education institutions in Whatcom County contact Abby at abby@sparkmuseum.org.